I took this photo yesterday. And it’s snowing again! 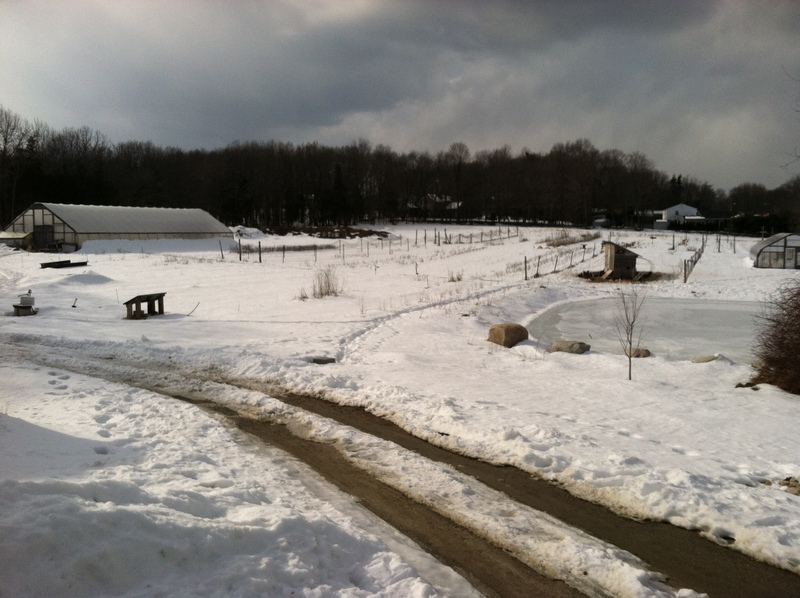 Most likely, the Early Spring CSA will be starting a little bit later than last year. I will post the exact start date next week. If you need fresh eggs, stop by our house on Monday afternoons. There will be a cooler by our side door. $5 per dozen. Or just send me a message any day and we can make arrangements. And if you’d like to join our main season CSA I’d love to hear from you as soon as possible! All purple sweet potatoes!!! They need a long hot summer as much as I do! Don’t we deserve it after this incredible winter? And don’t worry, we are going to grow some regular orangey sweet potatoes too. ← One more week, Earlybirds! 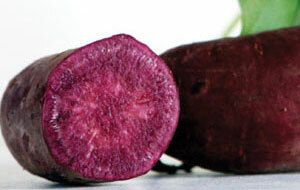 Ruby red sweet potatoes look like beets!